Mrs. Mona Hatoum ‘72 is a Lebanese-born Palestinian video artist and installation artist who lives in London, United Kingdom. Hatoum studied Advertising Design at Beirut University College class of 1972. During a visit to London in 1975, civil war broke out in Lebanon and Hatoum was forced into exile. She stayed in London, training at both the Byam Shaw School of Art and the Slade School of Fine Art(University College, London) between the years 1975 and 1981. Mona Hatoum explores a variety of different subject matter via different theoretical frameworks. Her work can be interpreted as a description of the body, as a commentary on politics, and on gender and difference as she explores the dangers and confines of the domestic world. Her work can also be interpreted through the concept of space as her sculpture and installation work depend on the viewer to inhabit the surrounding space to complete the effect. There are always multiple readings to her work. The physical responses that Hatoum desired in order to provoke psychological and emotional responses ensures unique and individual reactions from different viewers. Hatoum’s early work consisted largely of performance pieces that used a direct physical confrontation with an audience to make a political point. She used this technique as a means of making a direct statement using her own body; the performances often referenced her background and the political situation in Palestine. In her work, she addressed the vulnerability of the individual in relation to the violence inherent in institutional power structures. Her primary point of reference was the human body, sometimes using her own body. One of her first major pieces, Measures of Distance, explores the themes topics of her early art. In the late eighties, Hatoum abandoned performances as politically too direct and turned her attention instead to installations and objects, taking up some of the earlier ideas from her student days at the Slade School of Art in London. From then on, she relied on the kind of interactivity that lets the spectator become involved in the aesthetic experience without the presence of the artist herself as performer making her the focus of attention. Her work from the 1990s onwards made the shift from making statements to asking questions. Much more is required of the viewer as performances were replaced by sculptures and installations that required a level of mental and physical interactivity with the viewer. 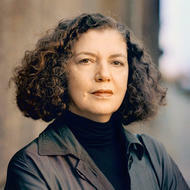 Her practice has shifted towards site specificity in her Institute of Contemporary Art, Boston and Kunsthalle Hamburg. Many of Hatoum’s early pieces situate the body as the locus of a network of concerns—political, feminist, and linguistic—thereby eliciting a highly visceral response. The political possibilities for the uncanny visual motif are relevant to discussions of Hatoum’s work, as the disruption achieved at a psychological level can have broad implications involving power, politics, or individual concerns. The allusiveness attained by her work is not always referencing grand political events, or appealing to a generalized cultural consciousness, but instead to a seemingly unattainable threat that is only possible to address on an individual scale. Since 1983, Mona Hatoum has been displaying both her installations and her video performance art pieces on exhibitions around the world. She has been featured in individual exhibitions as recently as 2011 in White Cube in London. Some of her other solo exhibitions to note include: Centre Pompidou, Paris (1994), Museum of Contemporary Art, Chicago (1997), The New Museum of Contemporary Art, New York (1998), Castello di Rivoli, Turin (1999), Tate Britain, London (2000), Hamburger Kunsthalle, Kunstmuseum Bonn, Magasin 3, Stockholm (2004) and Museum of Contemporary Art, Sydney (2005), Parasol Unit, London (2008), Darat Al Funun, Jordan (2008), Fondazione Querini Stampalia, Venice (2009) and Beirut Art Center (2010). She has also participated in a number of recognized group exhibitions, including: The Turner Prize(1995), Venice Biennale (1995 and 2005), Biennale of Sydney (2006) and the Biennale of Montreal; Drone the automated image (2013). A solo exhibition entitled “Turbulence” is organised in 2014 by Mathaf Arab Museum of Modern Art in Doha. Hatoum’s work was featured in a solo exhibition at the Institute of Contemporary Art, Boston in 2015. She has also won many awards, has been awarded many honorary titles and is a resident and member of many art centers and institutions.